I have a great diaper bag. The only problem with it is that it is full of diapers. And crayons. And a couple of snacks. And hand sanitizer. And a baby sling. But lately, with my youngest now two years old, I have begun to imagine a magical, mythical future where my bag has things like lipstick (I think I still have some somewhere), money (I wish I still had some) and empty space (I want some!). Check out that pattern matching. Do I decided to sew an anti-diaper bag. It will not be waterproof to keep the messes in. It will not be black so that I can ask my husband to carry it for me. It will not attach conveniently to my stroller. It will be small and pretty and not have room to carry a menagerie of toy animals. Yes, there is another bird on the back. I promise the bag really isn’t crooked – it’s just a trick of the camera. I used the Two Zip Hipster by Dog Under My Desk. It’s a great pattern that makes a real, professionally finished bag. 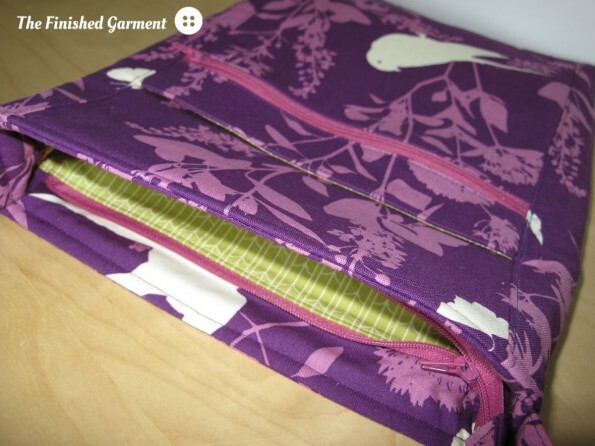 I used green fabric for the lining. I love that there is such a good contrast. 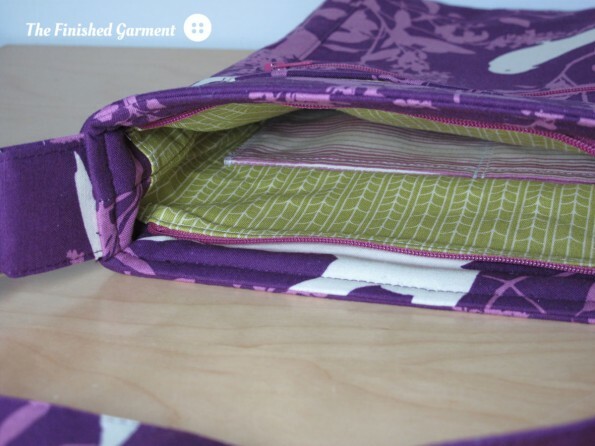 The front pocket is also lined in green. I would rate the pattern as intermediate to advanced. Nothing is particularly difficult, but it’s a very detailed pattern. 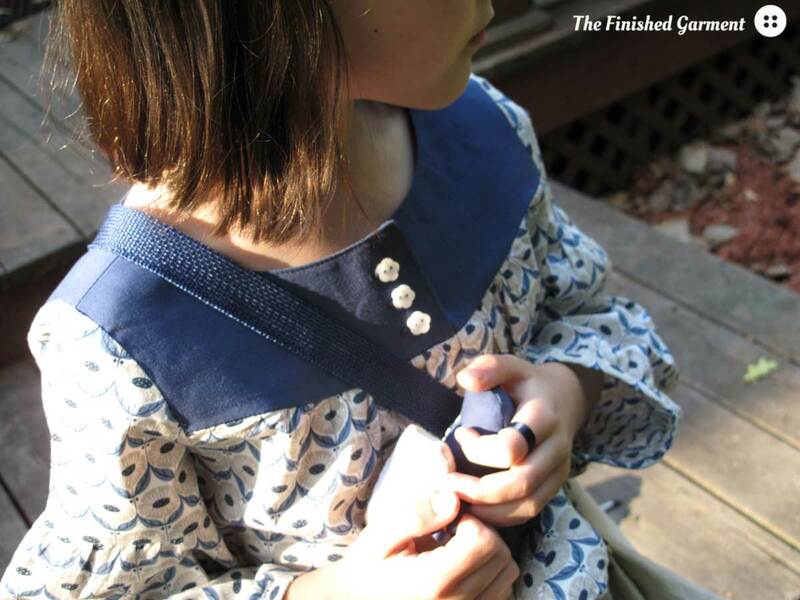 This pattern uses 11 pattern pieces for the exterior, 7 for the lining, 15 of interfacing, plus hardware. There are 15 pages of really great instructions. The pattern has an adjustable strap with real metal hardware. The zipper has a matching pull tab. I also think that to do a really good job, you need a quarter-inch presser foot, a stitch-in-the-ditch foot and a good quilting ruler. These are all basic quilting tools, but not necessarily what an apparel sewist might have on hand. Everything needs to be done in a very precise manner to get good results, and these tools help a lot. I used fabric from the Bungalow collection by Joel Dewberry. I love the colours – so vibrant! So hard to find thread to match. And the birds are really cute. Yes, I put a bird on it! 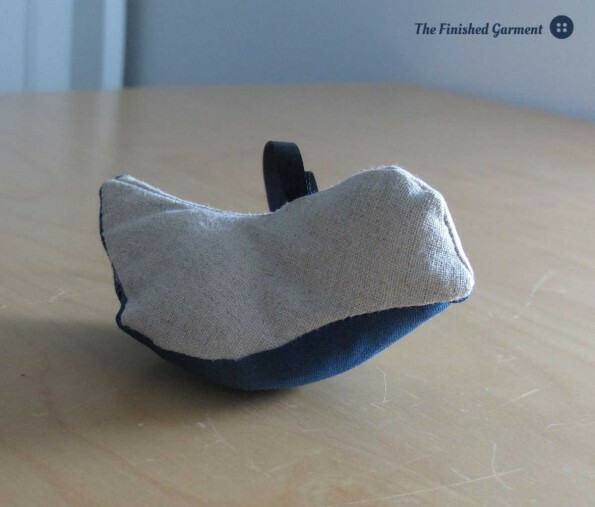 There is an inner pocket that you can customize for what you need to carry with you. This is not a quick project, but the results are so, so great. I will definitely be making another (probably without birds). 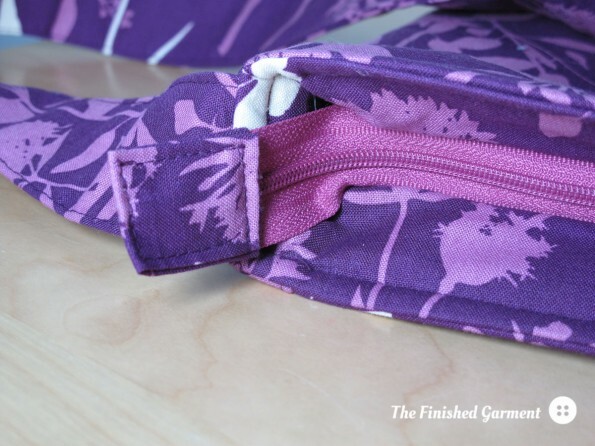 Pattern Review: Two Zip Hipster by Dog Under My Desk. Fabric: Swallow Study in Lavender, Empress in Grassland, and Stripes in Lavender from the Bungalow collection by Joel Dewberry for Free Spirit, courtesy Warp & Weft (now closed). Finished size: 11” tall, 9” wide, 1.5” deep. 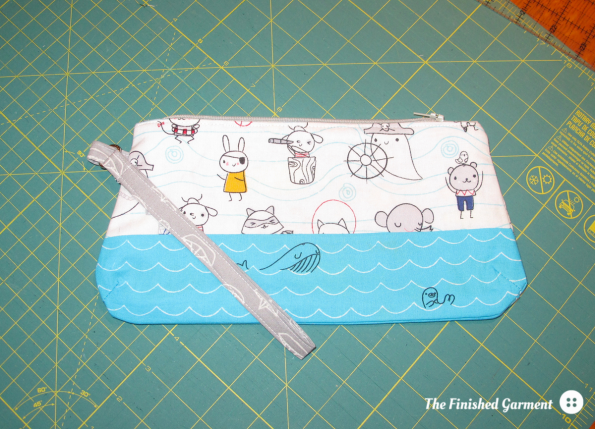 Project Sewing Level: Intermediate to advanced. I love the colours, but it did make it especially hard to match the thread and zippers. Last week I showed you a table runner I made for my mother-in-law, and this week I have the one I made for my mother. A table runner for spring. Like the previous one, I used all fabrics from my stash, most left over from previous projects. The design is a simple window pane design with white sashing. 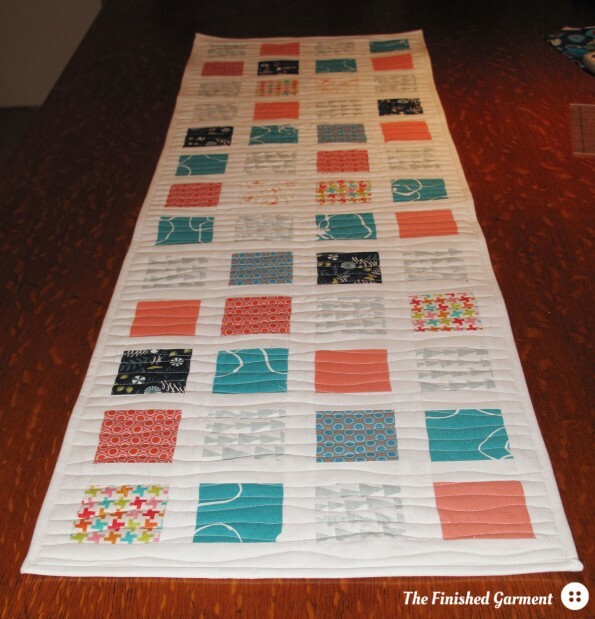 I used freeform wavy lines for the quilting. I used random wavy-line quilting. The backing is a fabric I had purchased for another project online, but when it came it didn’t quite match the other fabrics, so I’m especially glad to have found it a home. I’m happy this backing finally found a home. 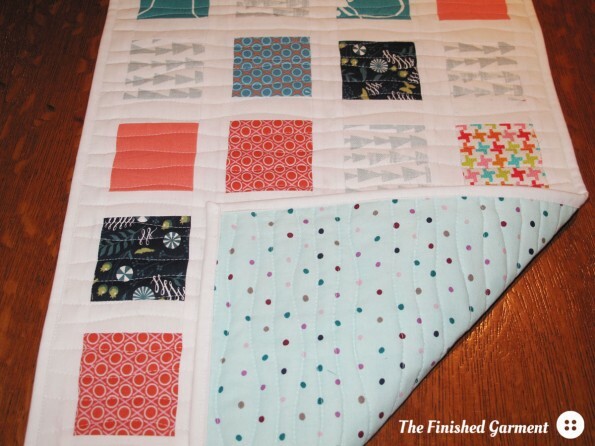 It’s a nice simple quilt, but I’m quite happy about how the peach and emerald green look beside one another. Hopefully this will get lots of use. I really like how these colours work together. 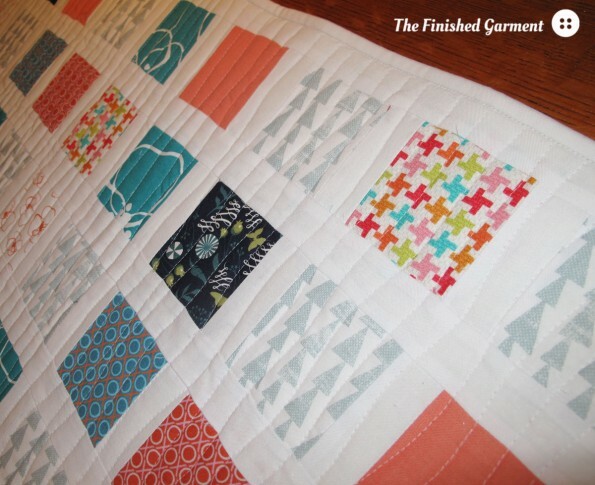 This post is linked up to Crazy Mom Quilts and her Friday finishes. It’s also part of the Stashbusting Sewalong. Little Blomster in coral, Blomster in emerald, Pilvi in mint, and solid coral from the MorMor collection by Lotta Jansdotter for Windham Fabrics. Houndstooth in multicoloured, from the Textured Basics collection by Patty Young for Michael Miller Fabrics. Kona white by Robert Kaufman Fabrics. Size: About 17″ by 48″. Cost: Fabric: 0$ (all from my stash). 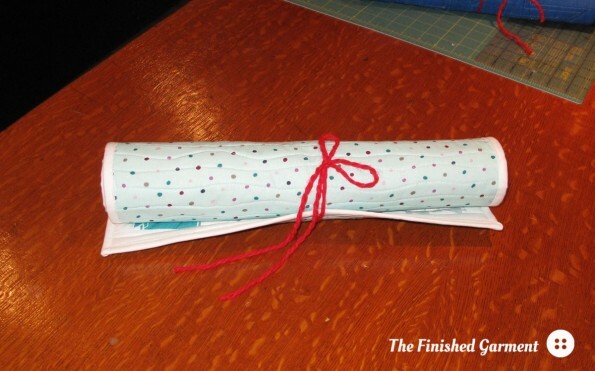 The simplest wrapping is always the best. The air is crisp and the leaves are falling. 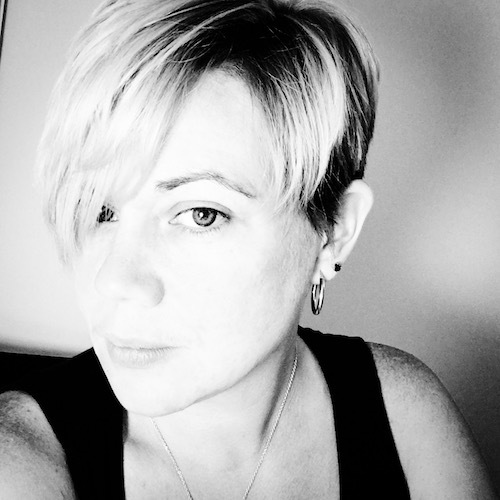 So it’s the perfect time for a fall blog hop. 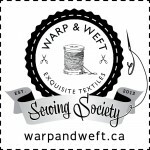 The Warp & Weft Sewing Society have all pitched in to showcase the latest fabric collection by Canadian surface designer Elizabeth Owen. The collection is called Wildwood, and it’s a really quite pretty. The inspiration for the collection was the wild woods of story books, so I was excited to see what would be in my Warp & Weft delivery. I decided to start with the story of Hansel and Gretel for inspiration, and so I made an outfit for my own “Gretel”, Kid No 1. I really like this colour combo. I made a simple panel skirt in Essex linen. 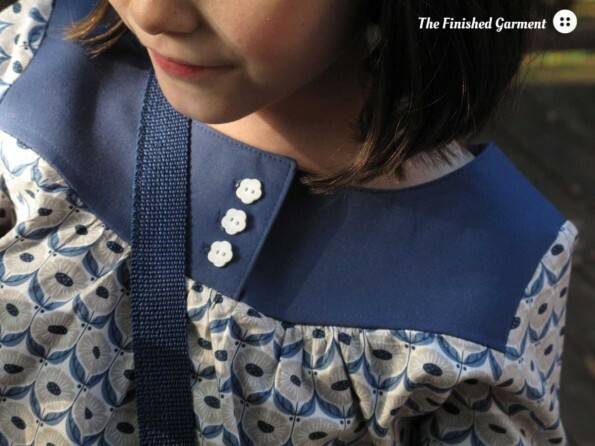 The pattern is from Collection privée filles & garçons by Atsuko Maruyama and Noriko Onoda (a French translation of the Japanese pattern book シンプル＆デサイン　おんなの子服　おとこの子服 ). The book contains 27 patterns available in sizes 90-140 cm. I made the “#12 Jupe à panneaux” (panel skirt) in size 120. 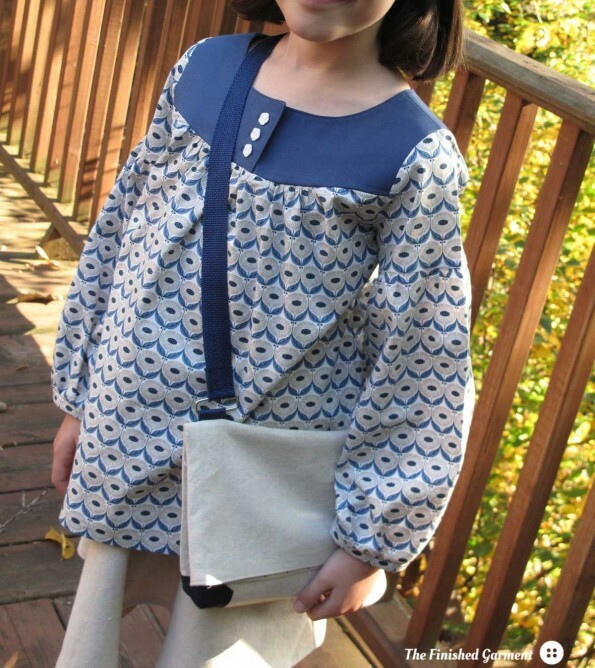 Then I used the Wildwood print to make a matching blouse, McCall’s 6388, using some blue solid for contrast. I really like the buttons on the blouse. 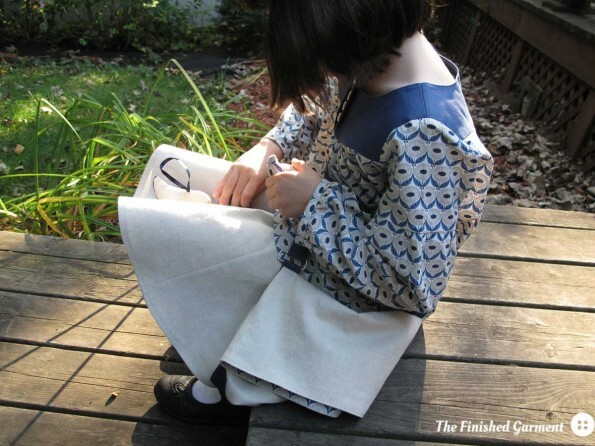 The skirt is a simple panel skirt, and linen has just the right weight. And of course Gretel needs a bag to carry her breadcrumbs, so I added a small satchel, the “#7 Sac tube” (tube bag), also from Collection privée filles & garçons. 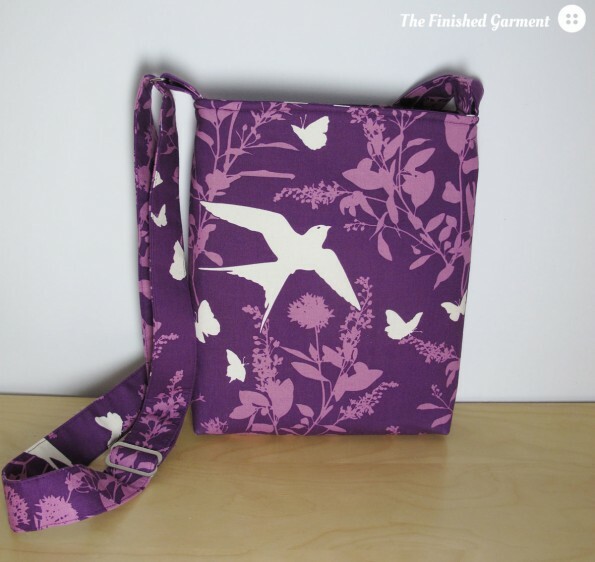 The bag is made in linen and lined with the Wildwood print. I love the simplicity of the bag. That meant that only one thing was missing – birds! 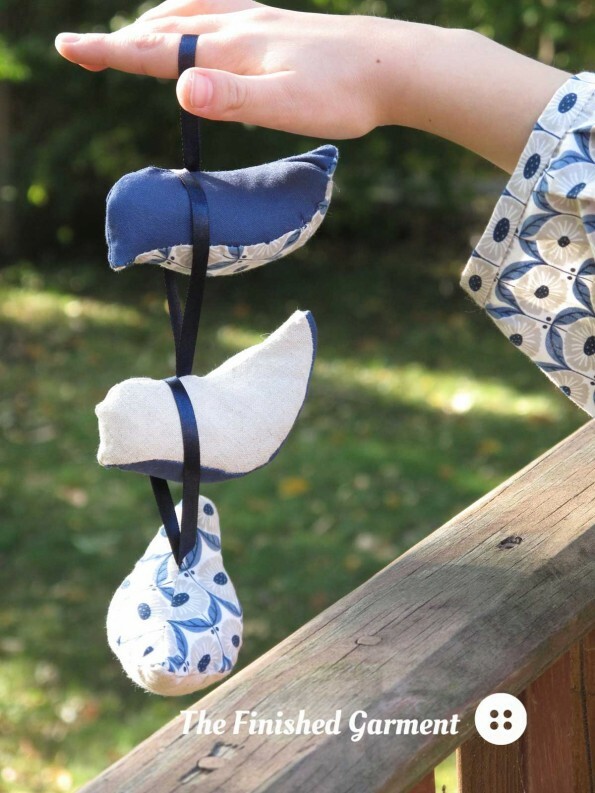 I couldn’t count on the local wildlife to pop in for my photo shoot, so I made three little birds using the pattern from Last-Minute Patchwork + Quilted Gifts, and the leftover scraps from the other pieces. I like the blue bird best. These are quite small, and the pattern is quick, but a little finicky. 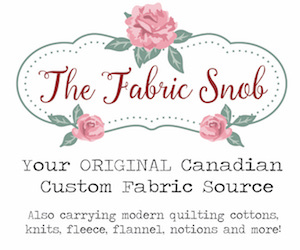 Thanks for stopping by, and be sure to visit the other amazing sewists on our blog hop! Blouse: McCall’s 6388 available in sizes 2-8, but now out-of-print. I made the size 6. 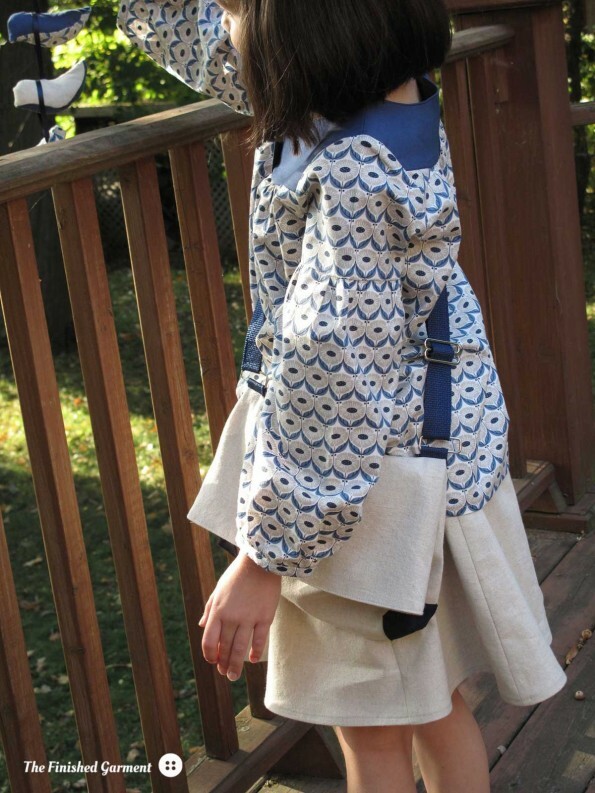 Skirt and bag: From Collection privée filles & garçons by Atsuko Maruyama and Noriko Onoda (a French translation of the Japanese pattern book シンプル＆デサイン　おんなの子服　おとこの子服 ). The book contains 27 patterns available in sizes 90-140 cm. I made the “#12 Jupe à panneaux” (panel skirt) in size 120, and the “#7 Sac tube” (tube bag). 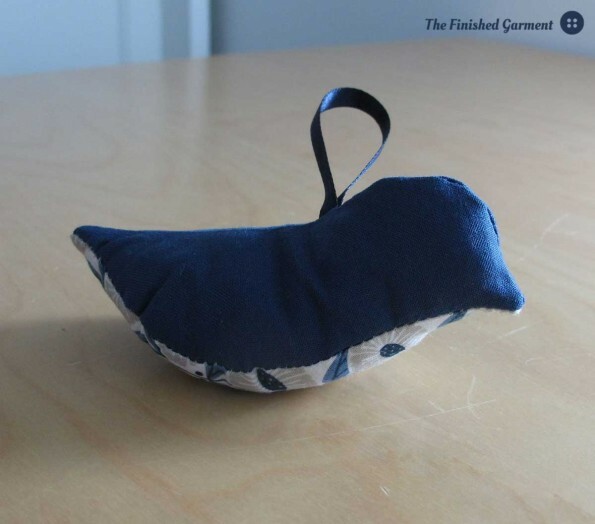 Bird ornament: From Last-Minute Patchwork + Quilted Gifts by Joelle Hoverson. Full Bloom in Indigo from the Wildwood collection by Elizabeth Olwen for Cloud9 Fabrics, courtesy Warp & Weft Exquisite Textiles. Essex linen in Natural by Robert Kaufman Fabrics, also courtesy Warp & Weft Exquisite Textiles. Modifications: I shortened the skirt, by 2″. 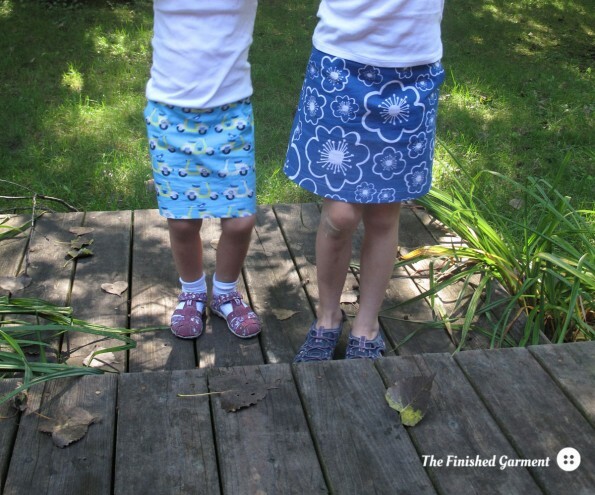 We’re just experiencing the last bit of summer here, so I’m taking the opportunity to show you one of my very last summer projects – two fun summer skirts. 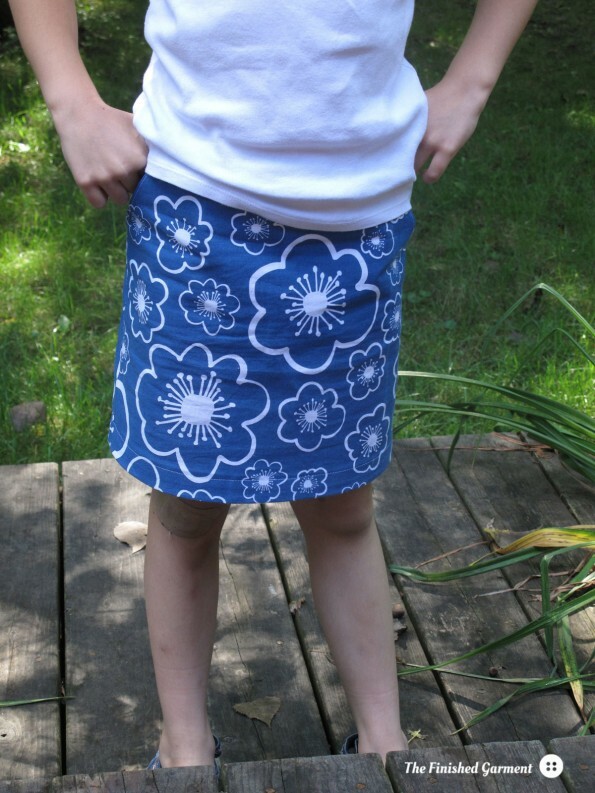 These skirts are super popular with my girls. I used the Sunday Brunch A-line Skirt by Oliver + S, which I’ve used before, and quite like. 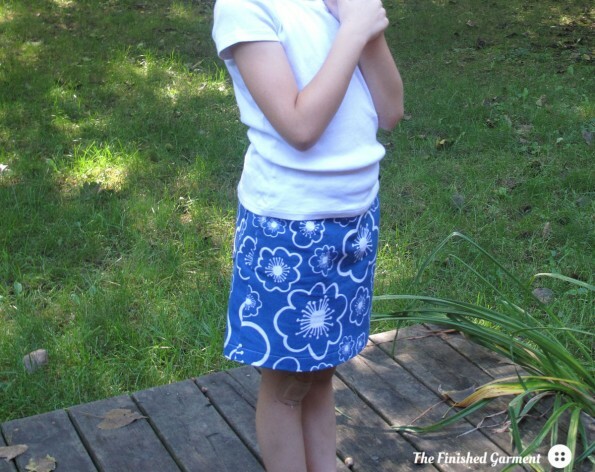 It’s a very quick, easy pattern, and makes a nice, basic skirt. I made this in sizes 4 and 6. The only changes I made were to lengthen the size 4 by one inch, and the size 6 by two inches, and lower the kick pleat to match. 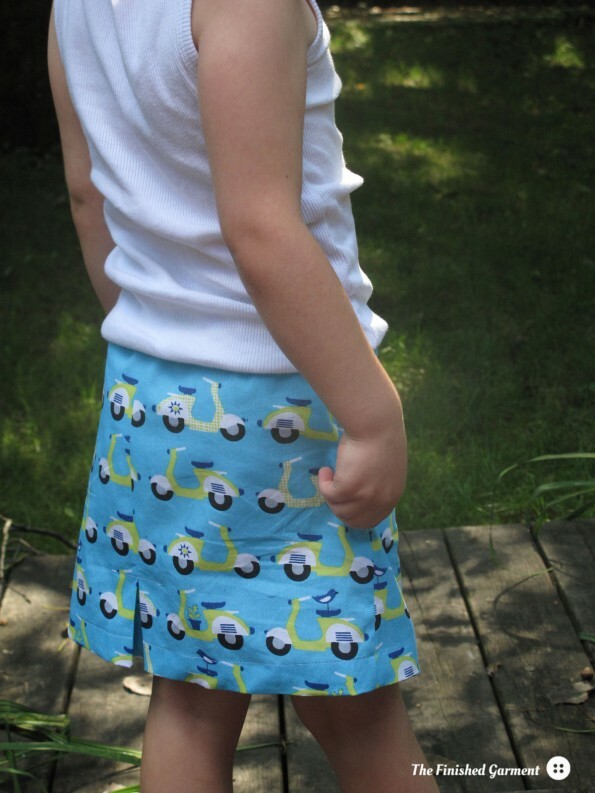 I also added the pockets from the Oliver + S Sandbox Pants, to the back of the larger skirt. 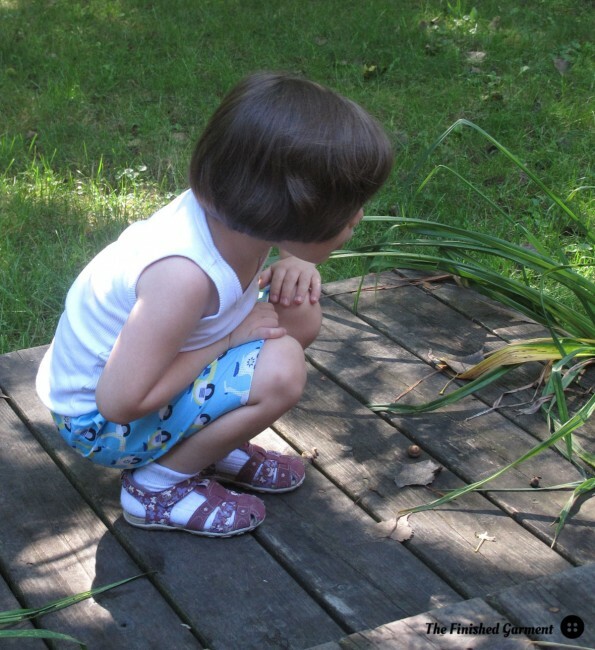 After I lengthened it, the skirt is just right for looking for chipmunks. 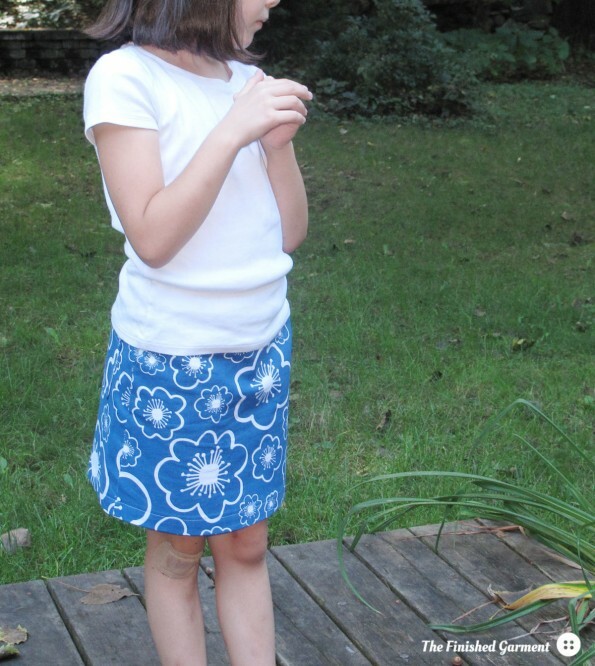 I used stash fabric for both skirts, leftover from other projects. This pattern takes a little under 3/4 of a yard of fabric, per skirt, which is what I had. The print is really fun for summer. I’m glad I could get two garments out of the fabric I had. 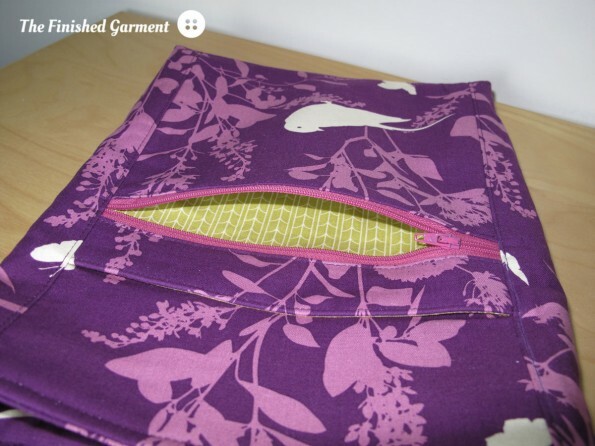 It’s a great pattern if you have just a little bit of fabric left over. But unfortunately, it meant that pattern matching was out of the question. Since this fabric would have been wasted otherwise, and these skirts were meant for casual fun, that seemed fine, this time around. I settled for an absence of awkward print placement, but I had to trace out the pieces with chalk a couple times in the size 6, to get that right. This print is Bella Flower in Blue by Lotta Jansdotter. And I swear I ironed it right before this photo was taken. This print is Scoot Scoot in Blue from the Havana collection. 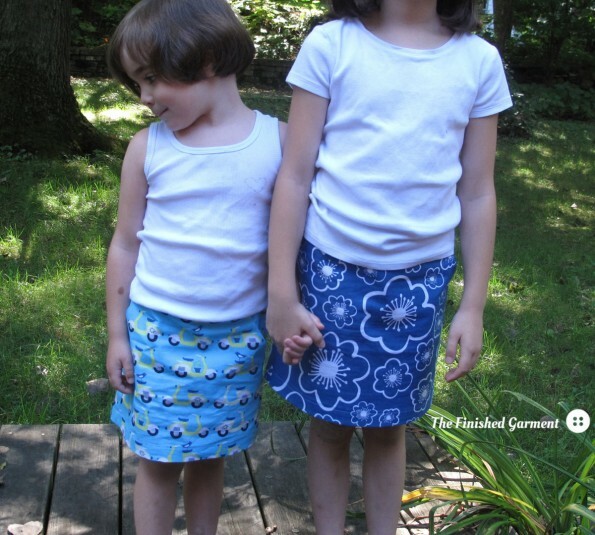 Each skirt took less than 1 yard of fabric. 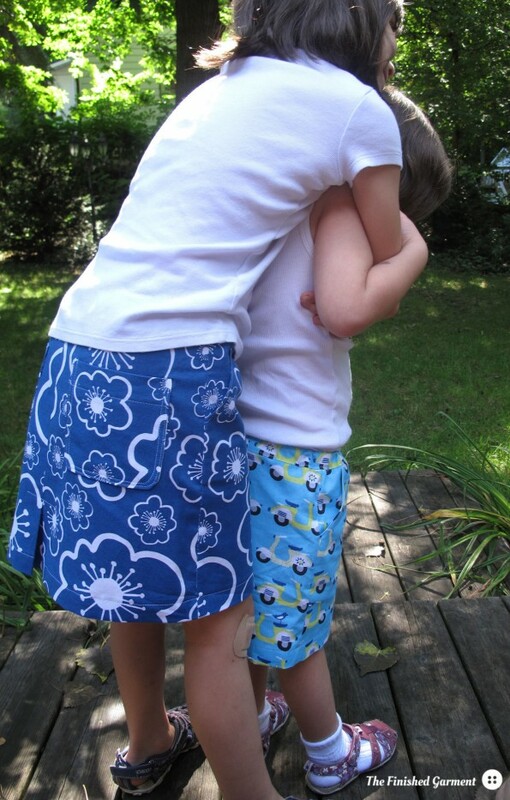 The skirts are a big hit and seem to get worn at least once a week, which is a lot with my sometimes finicky kids. 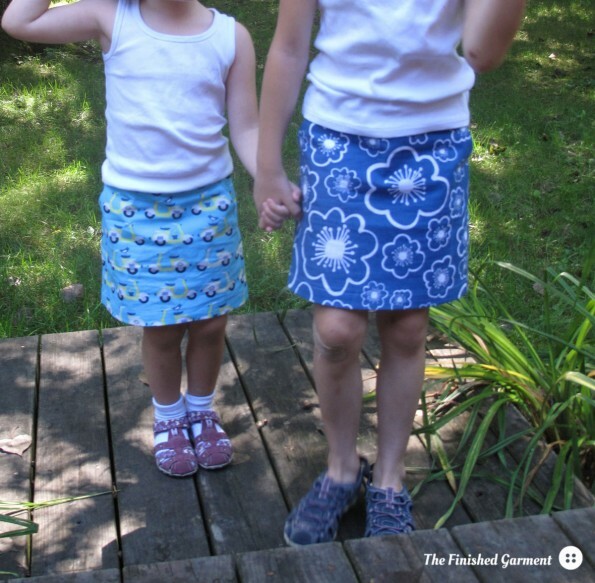 Pattern Review: Sunday Brunch A-line Skirt by Oliver + S available in sizes 6m-8. Bella Flower in Blue by Lotta Jansdotter for Windham Fabrics, courtesy Warp & Weft Exquisite Textiles. Scoot Scoot in Blue from the Havana collection by Monaluna (organic). Cost: Pattern: 0$. 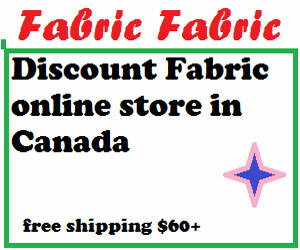 Fabric: 0$ (all was leftover pieces from other projects). Modifications: I lengthened the skirt, by 1-2″, depending on the size, and lowered the kick pleat. Results: Great. These were fast, are super comfortable, and are now in heavy rotation. These are still comfortable for playground fun. I have two kids in school this year and both needed new pencil cases. 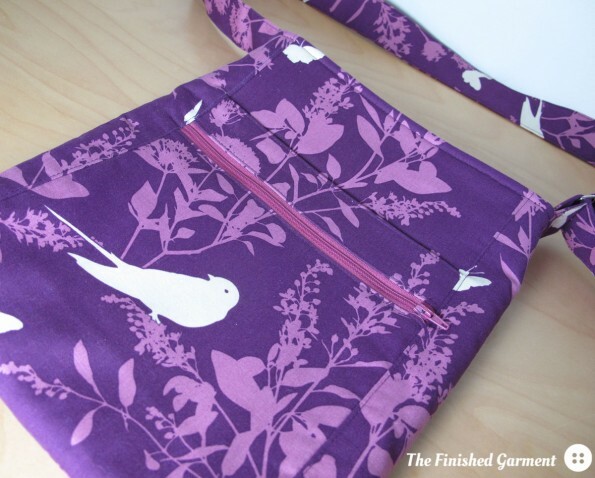 I had great success with the Perfect Zip Bag pattern by Elizabeth Hartman of Oh Fransson!, so I decided to use it again. Why mess with a good thing? This bag was made using the Seven Seas collection by Cloud 9. 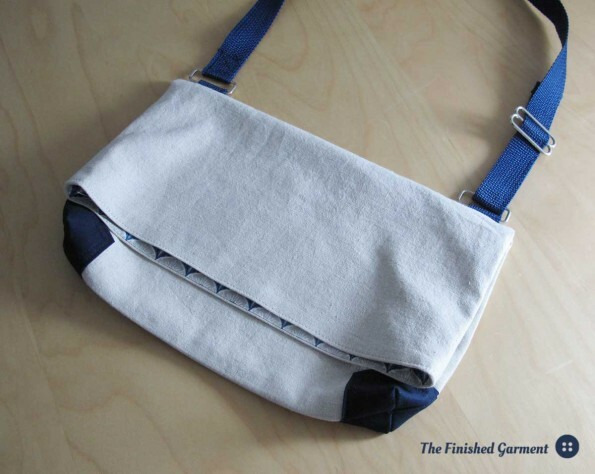 The first bag was made using leftover scraps from the Seven Seas gym bag I made last year. Now it’s a matching set! Kid No 2 helped pick out exactly which creatures needed to show on the outside. 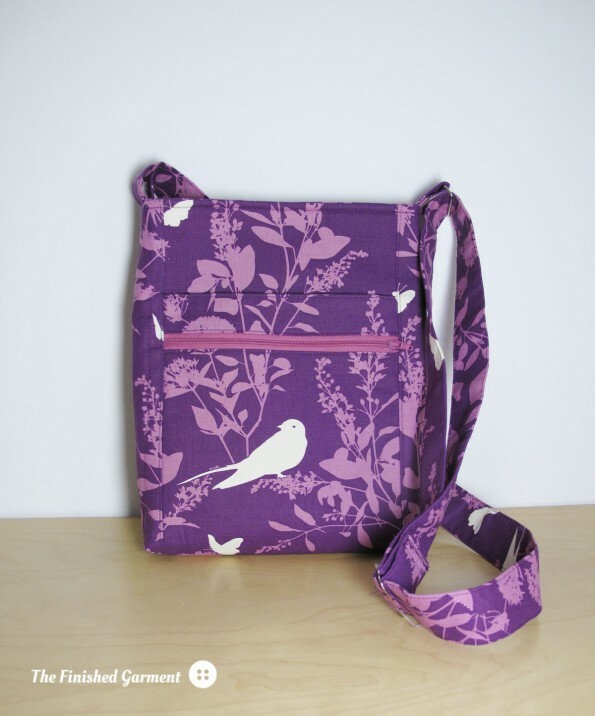 This bag was made using leftover fabric from my latest pj sewing project. The second bag was made with leftover fabric from my latest pyjama sewing project, and from a quilt I made ages ago. Kid No 1 picked all the fabrics. 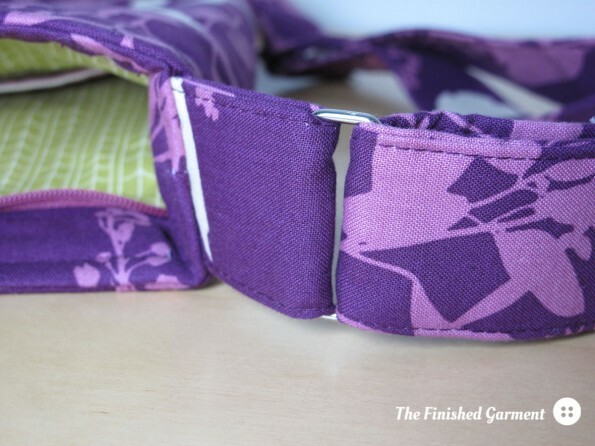 Even the interlining is from scraps from another project. All scrapbusting, all the time! 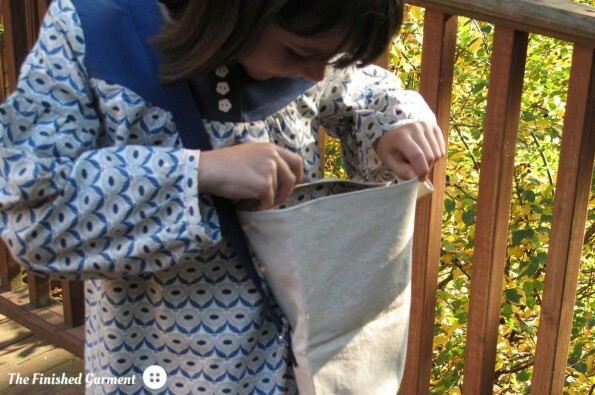 Pattern Review: Perfect Zip Bag pattern by Elizabeth Hartman of Oh Fransson! Laddies and Poppets, Sea Critters, and The Fleet in Grey from the Seven Seas collection by Michéle Brummer Everett for Cloud9 Fabrics, courtesy Warp & Weft Exquisite Textiles. 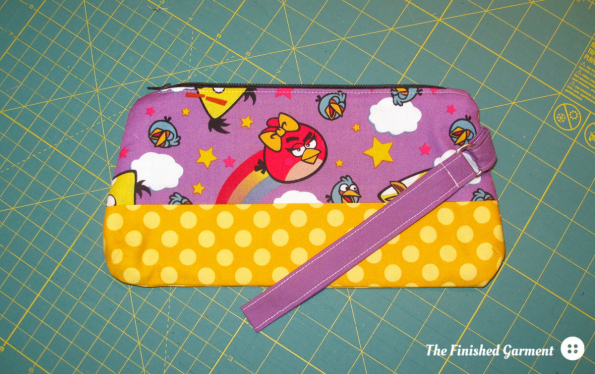 Rainbow in Purple, from the Angry Birds collection and licensed to David Textiles by Rovio Entertainment, LTD.
Ta Dot in Mustard, from Michael Miller fabrics. 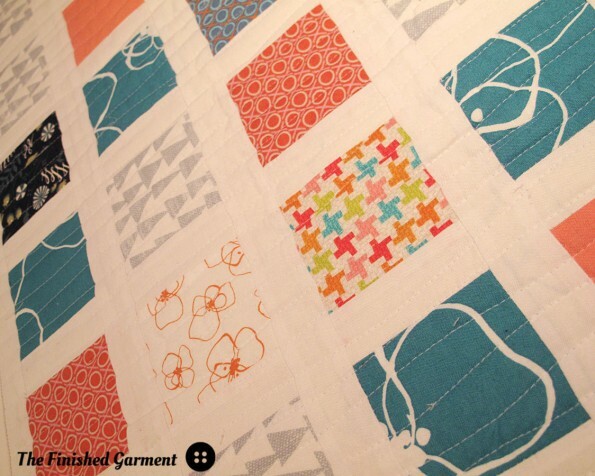 Flannel scraps for the interlining. Size: Large (View A), with inner pocket and wrist strap. Results: Great. I would strongly recommend this pattern and would make it again. Just to be clear: The Angry Birds name is trademarked by Rovio Entertainment, LTD and used by the fabric manufacturer under licence. The bags shown here are not official licensed products and are not available for sale. 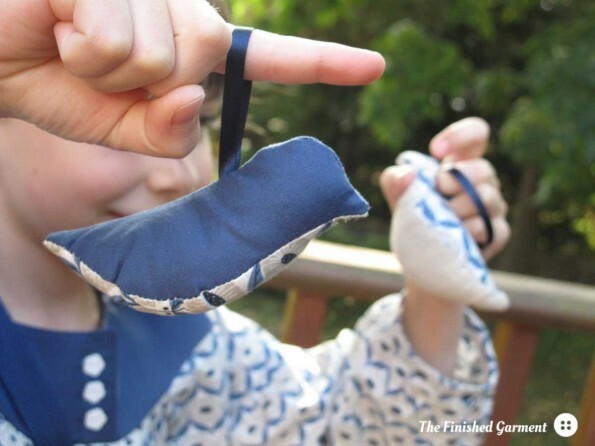 But you can always buy some fabric and make your own!